Dwight Howard sat out last night’s game against the Minnesota Timberwolves after having a benign cyst drained and removed from his left ankle. Howard has been dealing with an ankle sprain in that same joint but it is unclear if the two are related. He is expected to be back on the court for the Houston Rockets on Saturday against the Cleveland Cavaliers. 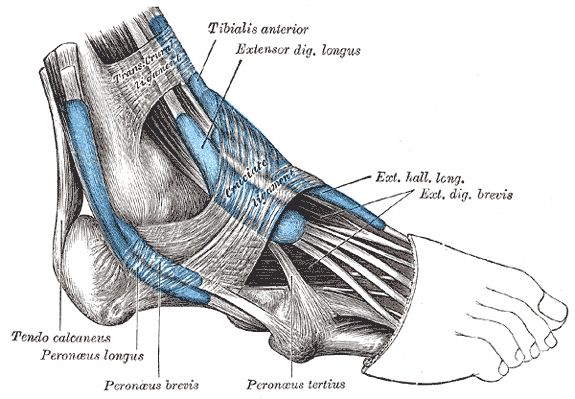 Ganglion cysts are benign balls of fluid that usually develop in the membrane that cover tendons and joints. They are most commonly seen in wrists and ankles but usually don’t cause any discomfort unless they are near a nerve, causing pressure and interference. The cause of these cysts are not well established but it is thought that they might be a blister response by the body to trauma or injury. Up to half of all ganglion cysts disappear on their own but sometimes invasive procedures are warranted such as aspiration (draining of liquid from the cyst) or surgery. Home remedies that are not recommended include hitting the cyst with a heavy object or popping it with a something sharp. Milwaukee Bucks big man Larry Sanders will be out until at least after the All-star break after suffering a fractured right orbital bone. The injury came early in Saturday night’s game against the Houston Rockets after Sanders caught an inadvertent elbow from James Harden to his right eye area. Sanders left the game and did not return. Common symptoms include edema (swelling), bruising, visual deficiencies (blurry, double vision), limited range of motion of the affected eye, and numbness around the area of injury. Typical recovery for orbital fractures range from one to six weeks depending on the severity of the injury. Surgical options may be necessary if there are issues with eye movement but conservative treatments will usually suffice. With coach Larry Drew’s inconsistent rotations, it is hard to pinpoint a player who will definitely benefit while Sanders is out. The most likely candidate appears to be Zaza Pachulia who got the start at center Monday night against the Boston Celtics and contributed 8 PTS, 8 REB, 4 AST, and 2 STL in 32 minutes of action. Pachulia also put up a double-double after Sanders left the Houston game so there is some upside. Just don’t be surprised if he concedes his minutes to someone else in the next game.